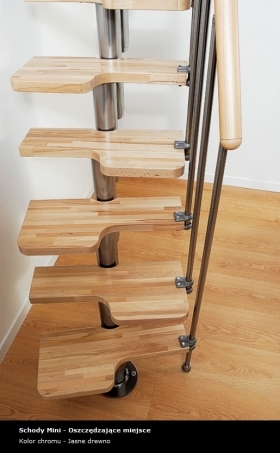 Single-speed system for small spaces. 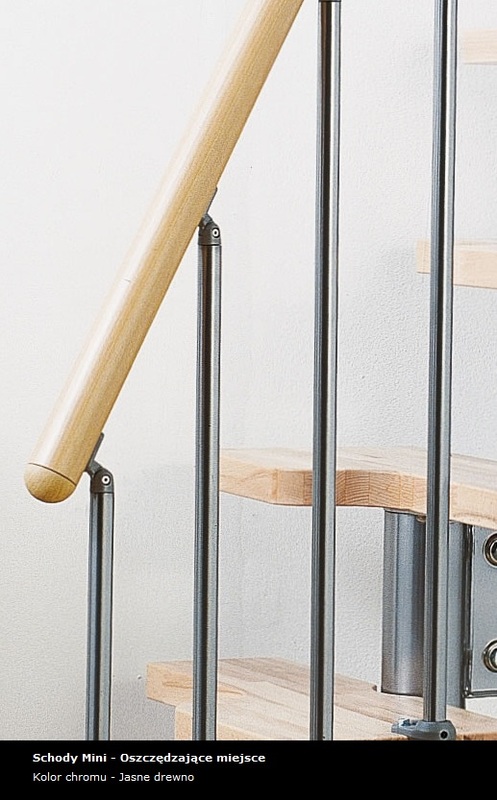 The railing with simple balusters. 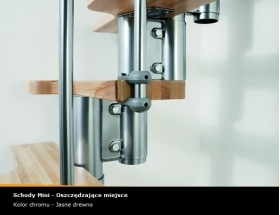 Mini is the staircase designed for very small areas. 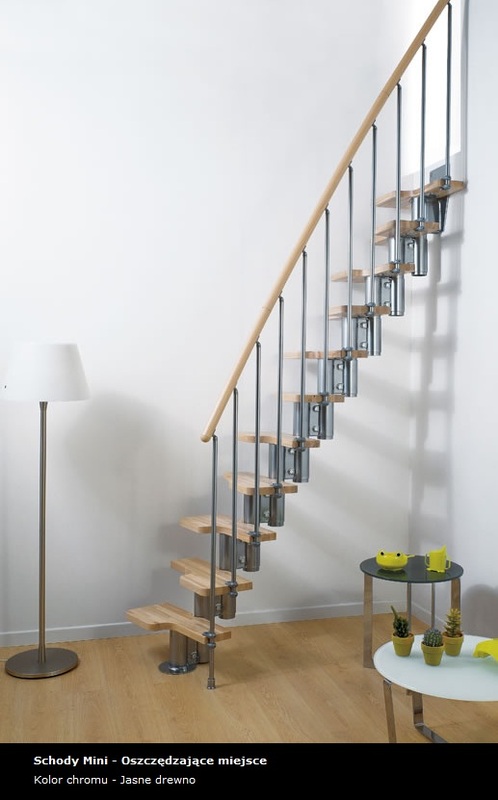 They are made of varnished steel brackets in chrome and white (RAL 9010) with finishes in the same color. 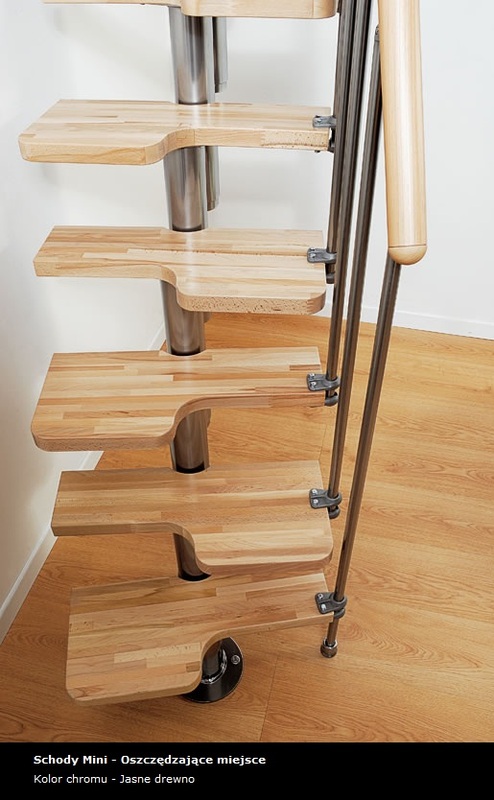 Characterized by the steps of a width of 54 cm, with panels made of light (natural) or dark beech, suitably profiled and arranged in such a way that the maximum availability with minimum dimensions. 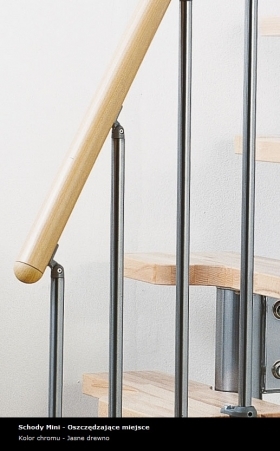 The wood-effect handrail is in PVC core - made of aluminum - available in light or dark color to match the color of the degree. 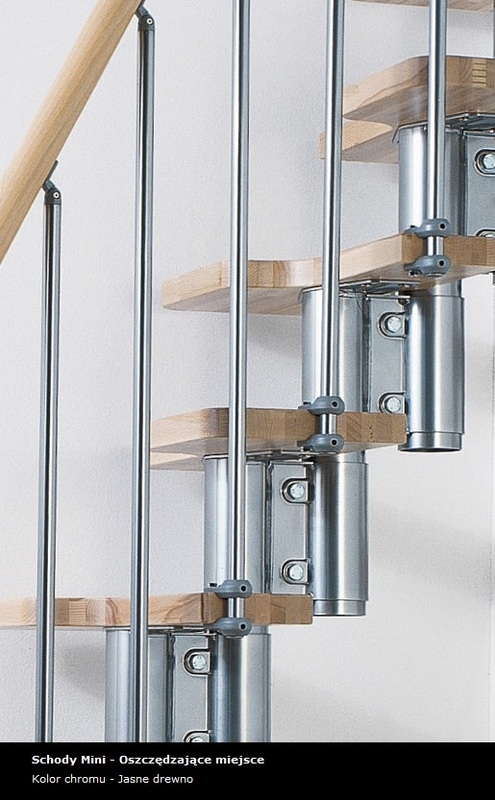 The railing is made up of balusters made of painted steel. Stairs Pixima Mini more videos at Albini & Fontanot S.p.A. 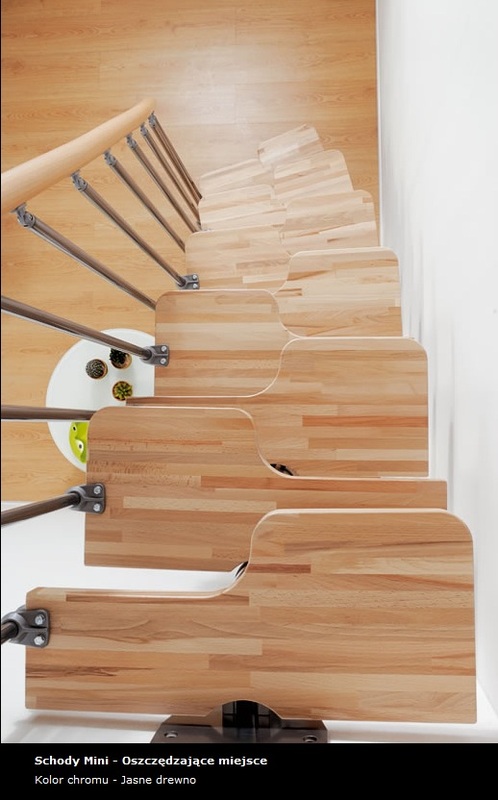 Inside of the chest, which are packed stairs in, there is a bag with installation instructions, warranty, and the code by which the registration page www.pixima.it can be extended by one year warranty of purchased the stairs. A deposit on account - FREE shipping anywhere in POLAND. Delivery in 3-4 days after crediting funds in the account.